Forest gap manipulates the hydrothermal dynamics of the forest floor, creating heterogeneous microenvironments and controlling understory ecosystem processes. However, how the heterogeneity in environments from the gap center to the adjacent closed canopy affects foliar litter cellulose degradation is poorly understood. Litterbags were used to examine the cellulose degradation over a 734-day period for the litter of two dominant shrubs from the gap center to the closed canopy in three alpine forest gaps of the eastern Qinghai-Tibet Plateau. The cellulose degradation of the two foliar litter species decreased from the gap center to the closed canopy during the two winters, the first year, the second year and the entire 2 years, whereas this trend reversed in the two growing seasons. Cellulose degradation of both litter species in the first winter and in the first year accounted for approximately 50 and 70 % of the 2 years of degradation, respectively. This degradation was positively related to average daily temperature and microbial biomass carbon but negatively related to the frequency of the freeze-thaw cycle. Forest gaps promote the wintertime and annual cellulose degradation during shrub-litter decomposition. 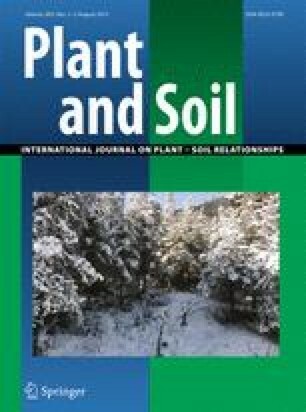 Moreover, reduced snow cover during gap vanishing as forests are regenerated or during winter warming may inhibit shrub litter cellulose degradation in high-latitude and -altitude ecosystems. We are grateful to Jianxiao Zhu for assistance with data analysis and two anonymous reviewers for constructive comments for improving the manuscript. This work was supported by the National Natural Science Foundation of China (31170423 31200474 and 31270498) and the Program of Sichuan Youth Sci-tech Foundation (Nos. 2012JQ0008 and 2012JQ0059). We certify that this article is original work and has never been published or under consideration for publication elsewhere totally or partly. No data have been fabricated or manipulated (including images) to support our conclusions. No data, text, or theories by others are presented as if they were our own. The submission has been received explicitly from all co-authors whose names appeared on the paper, and they have contributed sufficiently to the scientific work and therefore share collective responsibility and accountability for the results. We also declare that they have no conflict of interest. Informed consent was obtained from all individual participants included in this study. In addition, we had a permit from the Western Sichuan Forestry Bureau to conduct scientific experiments in the Miyaluo Nature Reserve since March 2006. Leaf litter collected for this study was only sampled at a very limited scale, and thus, had negligible effects on broader ecosystem functioning. Moreover, this research was carried out in compliance with the laws of People’s Republic of China. The research did not involve measurements on humans or animals and no endangered or protected plant species was involved.